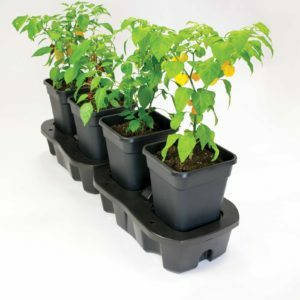 The Quadgrow Planter comprises of four pots that sit on a reservoir of water and nutrients. 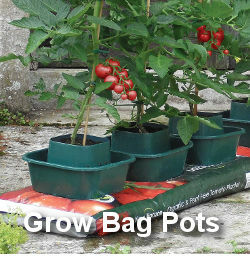 This has many benefits when compared to ordinary pots and grow bags. Keeps soil constantly moist – from smart reservoir below. Avoids over or under watering – plants absorb water as they need it. Avoids over or under feeding – nutrients are added to reservoir so nutrients are constantly available to plants. Ideal for holiday breaks – the 30 litre reservoir will keep plants happy for up to two weeks (depending on conditions) and can be extended if necessary. The capillary matting will need to be replaced or sterilized each season, but this is easily done. It is worth draining and flushing the reservoir half way through the season to prevent nutrient build up. There is a drain whole provided. Plants need to be watered every day in hot weather. When soil is too dry, a good watering can cause tomato split. Soil that is under or over watered can cause nutrient deficiency including Blossom End Rot. Soil that is too wet can cause poor root development and eventually fungal disease spreading from the lower leaves. The Quadgrow eliminates some of the biggest problems when growing fruit and vegetables and has many of the same benefits that professional growers enjoy when growing tomatoes – namely, a regular supply of water and nutrients that are accessed by plants as they require them. 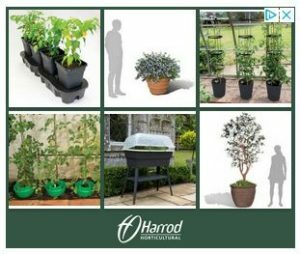 This produces healthier and quicker growing tomato plants and therefore, a harvest of quality tomatoes earlier in the season compared to conventional pots and grow bags. The system is easy to set up with plenty of guidance on how to mix and apply the nutrients that are included with the Quadgrow. I don’t normally write reviews but I feel I have to share my views on this fantastic product. I’ve been growing tomatoes for over 20 years in my greenhouse but have always struggled with getting watering and feeding correct … It’s so simple and takes all the hassle of watering away. I’m back for more next year! The reservoir, feeder tray and pots are all well made and should last for a good number of seasons, if not roughly handled, returning the cost of the item and the time involved with a successful harvest each season. 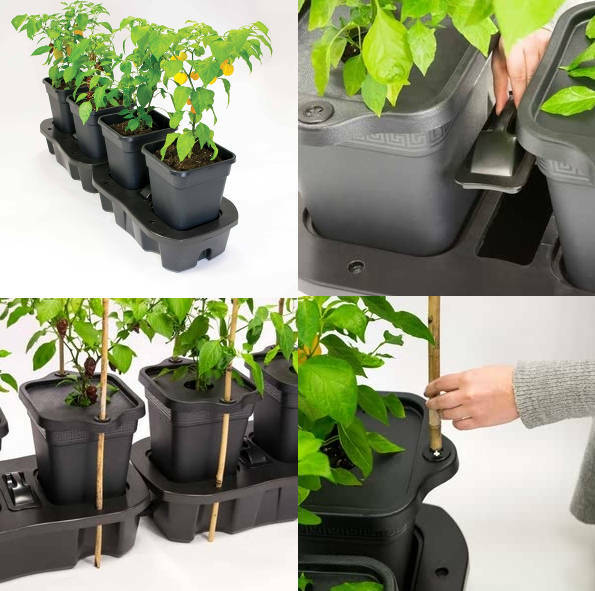 With the Quadgrow planter system, you will be able to achieve maximum results for the minimum amount of time spent, and grow the freshest and tastiest tomatoes for the whole family to enjoy.